i'm beginning to have a deep mistrust of books with "happy" in the title...because they never end up being. 😫💛This was a really sweet and lovely surprise of a book. I hadn't heard of it before I picked it up and it turned out to be this slowly unwinding Aussie contemporary about a boy fresh out of juvie and bearing bruises on his soul for his past (some his fault, some not) and left with an uncle who doesn't know him. Or want him. They're in this dusty little fishing village and Nate's character development is just here to melt your heart. This book just crept up on me! For an Aussie, I don't read nearly enough #LoveOzYA, but this was such a good read with lots of emotions and a terrific amount of character development. I just loved Nate and how he pulled himself together after a life that beat him apart. Will protec. 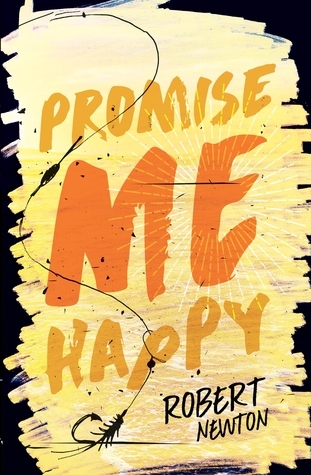 Sign into Goodreads to see if any of your friends have read Promise Me Happy. I'd like to read this! I've been looking for more good contemporary . . .